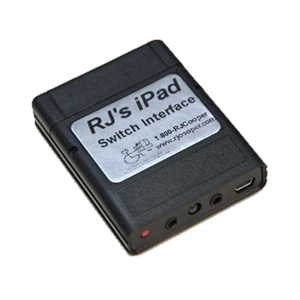 For iPad, plug any switch(es) into it for cause/effect, switch timing practice, AAC auto-scan and step-scan, spelling, and any other apps on the horizon! For iPad, any app that has been programmed for switch access allows access via switch(es). Many special needs/AAC app developers *are* incorporating switch access and these will work with my devices.